In this October 1970 press photo Buzz Aldrin is escorted by touring Russian Cosmonauts as they meet Mickey Mouse and Disneyland Ambassador Kathy Burke. 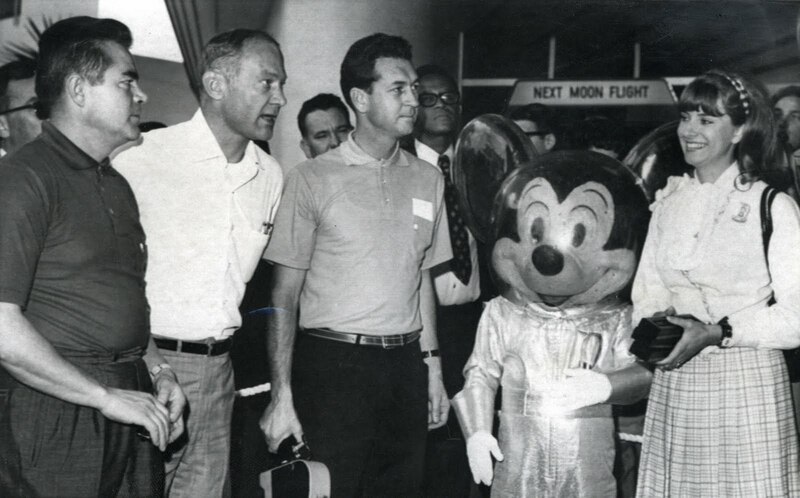 The Cosmonaut to the right of buzz has what looks like a huge camera in is hand, it must be Russian! Sign for a Disneyland “Moon Ride” is in background. 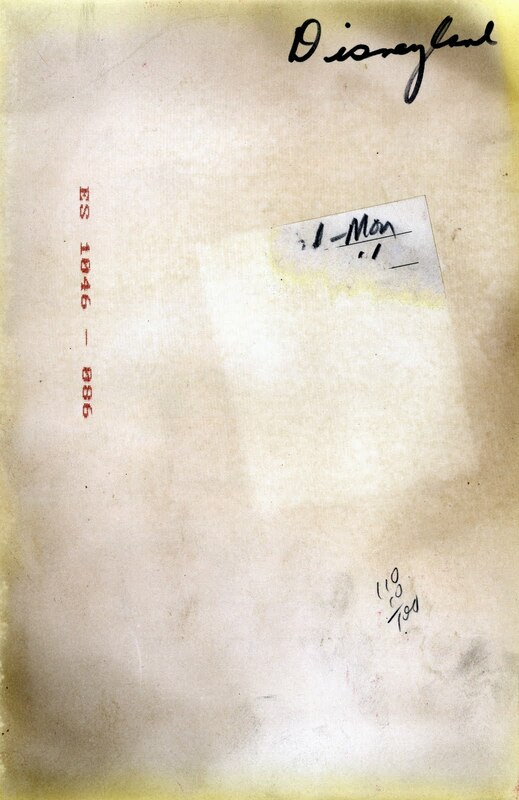 I’m going to have to assume that modern red inkjet style number printed on the back was part of a newer cataloging system, otherwise this is a very elaborate forgery. 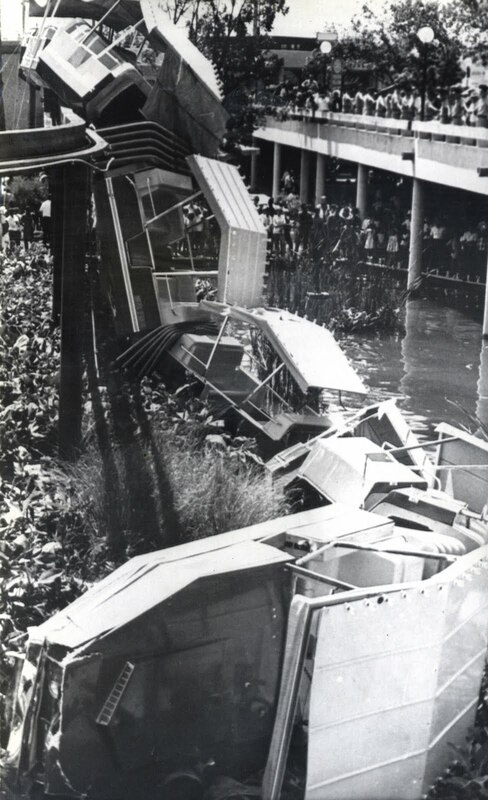 Here’s a rare photo of the tragic day the Junior Monorail flew off the track at Disneyland. 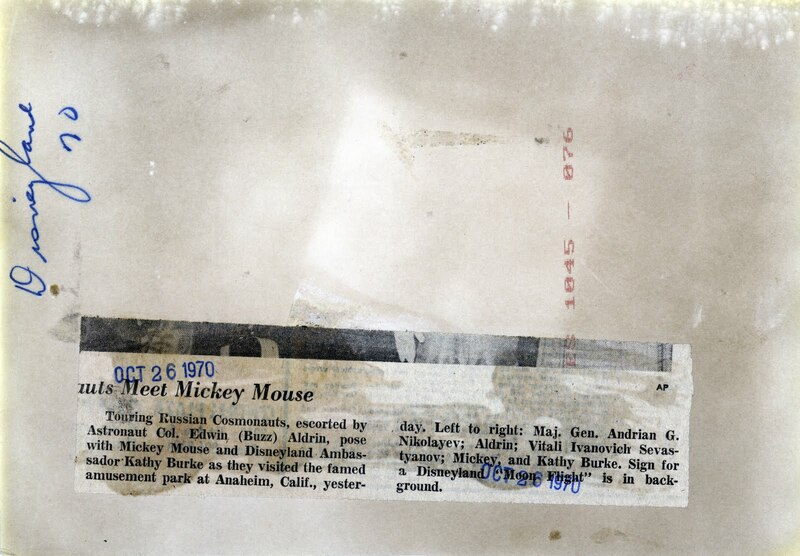 This is one of the lesser discussed Disneyland accidents, in fact I bet you’ve never even heard of it huh? Clearly marked Disneyland, this is obviously NOT Disneyland. I wonder if that missing label held a clue about this photo. Does anyone know where this is, lots kind of like Nara Dreamland ? Was anyone hurt? Good ol' Google. In about 5 minutes of checking Google, I was able to find info about the "Junior Monorail". Holy crap, my heart shot up to my throat and got stuck there! 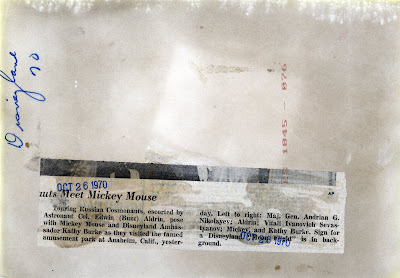 Thank goodness that didn't happen at Disneyland - how awful! It's the North Haverbrook accident. It happened because there was no contractual obligation on the part of the builders to deliver vehicles that could actually go around corners. The photos were deliberately mislabeled as part of the cover-up. Ouch!! That Hemisfair '68 Monorail was made by UNIVERSAL DESIGN LIMITED of New Jersey and was sold as their MINI-MONORAIL they claimed "It is certain to be one of the hoghlights of Hemisfair 1968"
Major, I'm gasping for breath at mere thought of being in a Mickey Head in this Helmet.